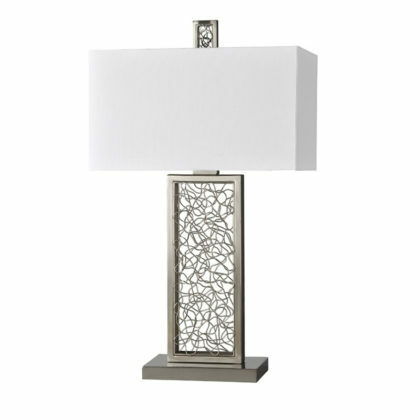 Spaghetti metal fills the satin nickel body and matching finial of this contemporary lamp. 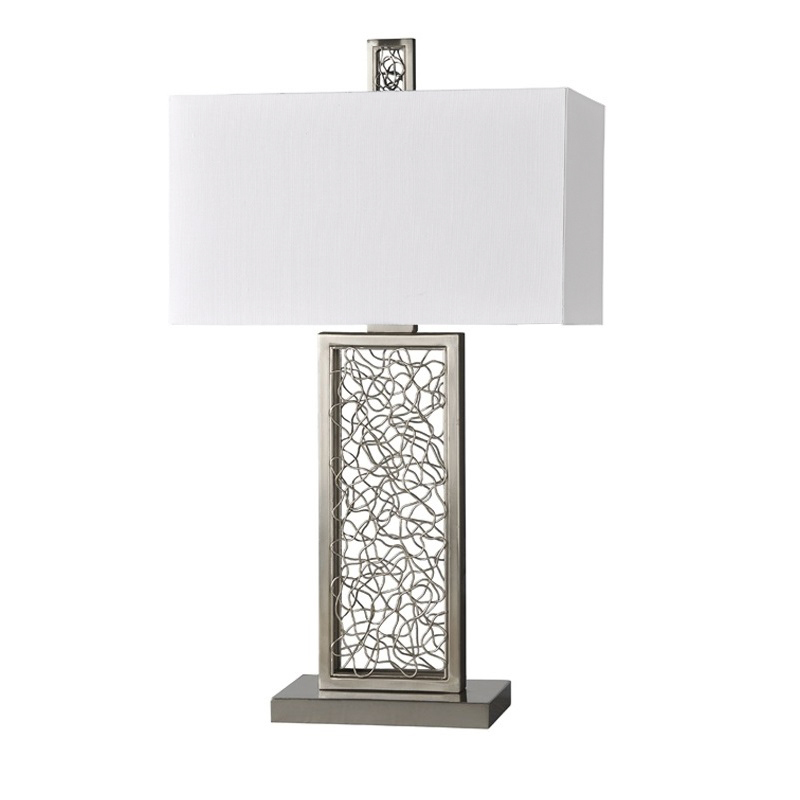 Finished with a white linen rectangular shade metal base. 16" x 9" x 27"